A Better Answer is no stranger to awards. From winning the Association of TeleServices International Award of Excellence for 18 consecutive years to receiving several honors from the Dallas Business Journal, eWomenNetwork Foundation and other prestigious organizations, we have our fair share of them. They’re a true testament to the positive culture we’ve created for our staff and the exceptional customer service we provide for our customers. Law practices can be demanding and complex. On account of this, many are hesitant to outsource customer service because of a fear that they won’t be represented properly to current and prospective clients. Fortunately, the right answering service can serve as an extension of your brand and reinforce the same qualities your staff embodies on a daily basis. It’s no secret that business picks up during the holidays. According to the National Retail Federation, sales in November and December of 2016 are expected to increase 3.6 percent to $655.8 billion. That’s higher than the 10-year average of 2.5 percent and above the seven-year average of 3.4 percent since the economy started to recover in 2009. Furthermore, NRF forecasts non-store sales to increase between seven and 10 percent to as much as $117 billion. As a physician, you do your best to build trust with your patients. Wouldn't you want an answering service to continue to build and reinforce what you've already started? 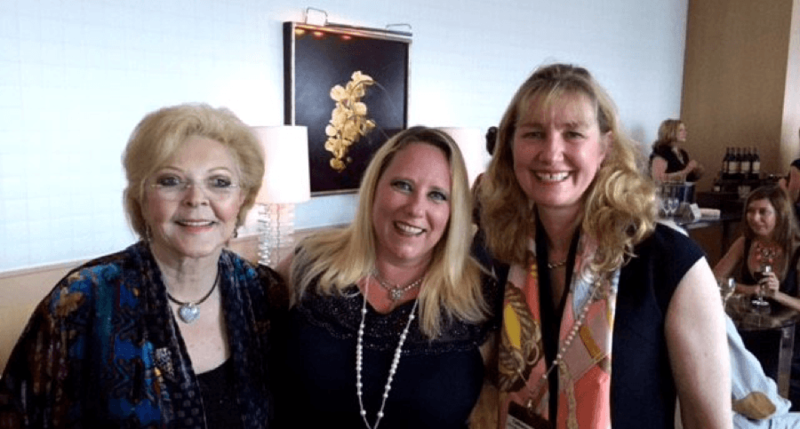 Forty-two years ago Dee Hawkins started a multi-million dollar business in Texas. 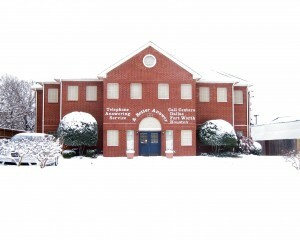 A one "gal" office with 12 customers expanded to multiple locations and her own building. 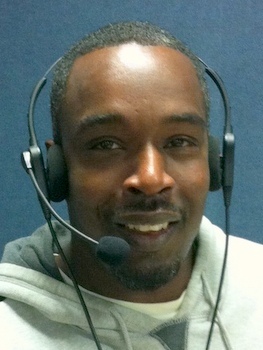 With a dedicated and loyal staff, Dee operates the most award-winning call center in the U.S. and Canada. Bad weather creates all kinds of problems for nearly everyone. The worse the weather, the more problems there are. If there is snow, everything slows and the call volume really increases. When there’s ice, and especially if it’s on top of the snow, it’s the worst ever. Trees and limbs are either broken or bent over limbs kissing the ground from the weight of the ice, power lines are down, electric is off, no water, food supplies are dwindling, streets clog with traffic and the ice causes accidents which stop any movement – businesses close and if anyone is coming in at all, they’ll be late, schools close, parents stay home to watch their children, family and friends call from out of town to see if everyone is alright, and so many other reasons why people can’t get all their incoming phone calls. It’s bad – really bad – and no one knows when the situation will improve. 2014 - A fresh start! 2013 has come and gone, you've hopefully wrapped up the last of your projects and preparing for this year's new ones. 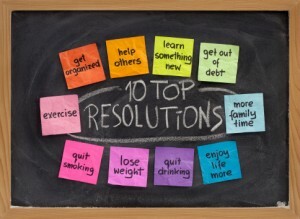 Are you planning on doing anything differently this year? Did you feel you had enough time to finish everything you started? If you're like most people, chances are, you definitely wished you had more time to complete things. It happens to all of us: we're ready to hit the ground running on getting our work done, and about 20 minutes in, a distraction comes along and we get sidetracked. 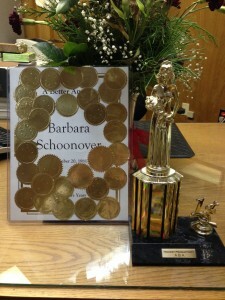 Barbara started working for A Better Answer 32 years ago almost to the day! Each year on our employee's anniversary, they receive a seal to place on their anniversary plaque. Barbara's is completely full! Barbara started working for A Better Answer December 20th, 1981 back when we wrote all of our messages by hand and used the very earliest computers that would connect callers to another. She has won many awards for her outstanding performance and efficient productivity and her skills have allowed her to wear many hats within the company. 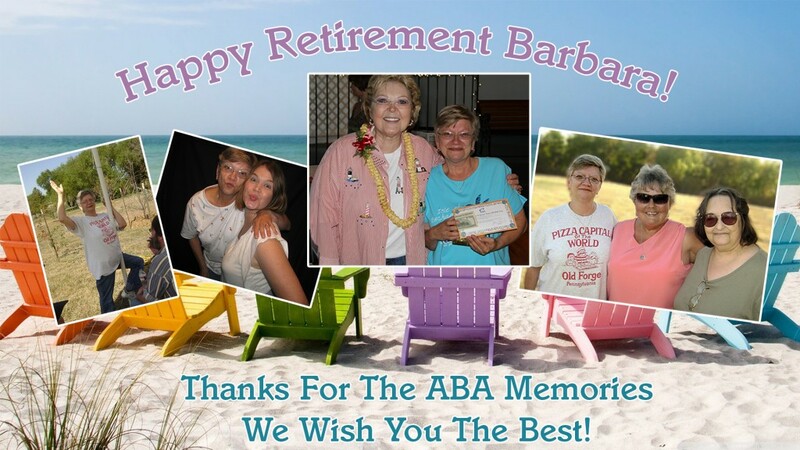 Barb has served ABA in bookkeeping, supervising and training as well as being a telephone secretary! Barbara's niche was being a truly wonderful telephone secretary as she assisted callers from all over the world, making sure she helped them to the best of her ability. Barb made many friends over the years, of our clients as well as co-workers. She will be missed greatly by all! We wish her the best as she encounters the next stage of life, retirement has a lot to offer and we are sure she will experience many new things and we are sure she will stop in from time to time to tell us all about it! Thank you for the 32 years of service given to A Better Answer, we all feel it was an honor working with you! Farewell Barbara, until we meet again!